Polys Hajioannou is the Chief Executive Officer of Safe Bulkers, Inc. and has been Chairman of the company's board of directors since 2008. Mr. Hajioannou also serves with the Manager of Safe Bulkers, Inc. and prior to its inception, the Manager's predecessor Alassia Steamship Co., Ltd., which he joined in 1987. Mr. Hajioannou was elected as a member of the board of directors of the Union of Greek Shipowners in 2006 and served on the board until February 2009. Mr. Hajioannou is also a founding member of the Cyprus Union of Shipowners. 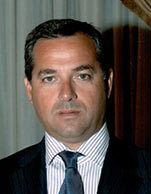 Mr. Hajioannou is a member of the Lloyd's Register Hellenic Advisory Committee. In 2011, Mr. Hajioannou was appointed to the board of directors of Hellenic Mutual War Risks Association (Bermuda) Limited and in 2013 he was elected at the board of directors of the UK Mutual Steam Ship Assurance Association (Bermuda) Limited. Mr. Hajioannou holds a Bachelor of Science degree in nautical studies from Sunderland University.